Popular Portland-based coffee roastery Stumptown Coffee Roasters has opened its first Brooklyn location at 212B Pacific St. (between Court Street and Boerum Place) in Cobble Hill. The freshly renovated former firehouse that provides its space joins two other retail locations in Manhattan. On the menu, coffee aficionados will find full range of espresso drinks, drip coffee, brew-by-the-cup offerings and Stumptown's signature draft cold brew. Customers can also grab coffee gear and bags of its whole roasted fair-trade beans, some from single farms in Costa Rica, Honduras and Guatemala. In addition, the cafe offers hot and cold food items from Lalito, kombucha from Big Easy Bucha, and pastries from Roberta's. With a 4.5-star rating out of six reviews on Yelp so far, Stumptown has been warmly received by patrons in its early days. "Excellent coffees and teas," wrote TJ N., who was among the first Yelpers to review the new spot on August 29. "Great cappuccino! They sell many of their roasted beans as well. I had a burrito which was very good too! 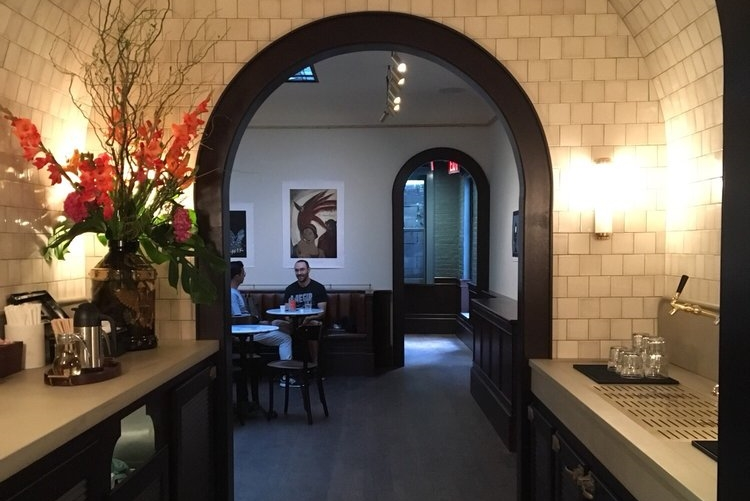 The staff is very kind and the space is immaculate." And a Yelper known only as New Yorker added, "I am glad this place opened up -- they did a fantastic job, it is so beautiful and Zen. The courtyard in the front reminds me of Berlin." Head on over to check it out: Stumptown Coffee Roasters is open from 7 a.m.-7 p.m. daily.